I have to doff my cap to my Dad, who, in an inspired move, bought us a TV console around about 1980. Memory and the Internet fail us as to exactly what it was, but it played about 8 games, most of which were essentially Pong. 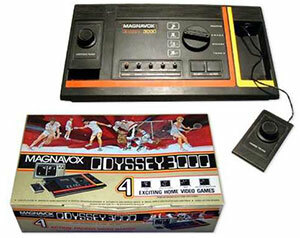 I think it was the Magnavox Odyssey 3000. We might have still had it at our house had our rabbit Toyah not chewed through the wires in the hope that they contained lettuce I suppose. Either way, this was one of the world’s first home computer games systems and it paved the way for a future entwined with computer games. When I was 7, we bought our first real computer. It was of course, the ZX Spectrum with its opulent 48 Kilobytes of memory. At the time, this powerhouse of a computer trumped several fold the old ZX 81’s, Dragons, BBC’s and Vic 20’. For a short time the Speccie was the king. The games came on tapes, which we generally bought from Boots, and they went into a normal tape recorder. So many games, so many hours of entertainment. The ones that really spring to mind though are the frustratingly addictive Manic Minor, the joystick destroying Daley Thompson’s Decathlon and of course Way of the Exploding fist. I couldn’t believe my luck when I went to our primary schools Christmas fete thingy and they had a Way of the Exploding fist competition to win stuff. Finally, those hundreds of hours of video game karate paid off! At about age 9, I began the foray of copying out computer games from a mag into Spectrum Basic, modifying some commercial games and writing my own exceptionally Basic games which pretty much just used the PRINT and GOTO commands. By the time I was 11 and in the first year at secondary school, my ZX Spectrum had descended from being the best gaming computer on the market, to what my fellow pupils described as a ‘bean can’. I had to do the decent thing and buy a Commodore 64. The C64 in my view wasn’t actually a huge step up in terms of graphics or computing power, but it did have some truly exceptional games and even a drawing game with a mouse called Mouse and Cheese – genius. The C64 also provided for me the first challenging computer football game (one where you couldn’t just win 20-0 every game). 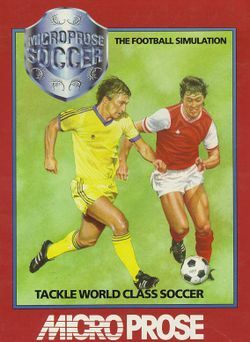 Emlyn Hughes and Microprose soccer provided a huge amount of entertainment and probably marked for me, the start of a real interest in football. With the C64 also came my understanding of the IF statement in Basic programming, which firstly allowed me to create my own text adventure games, and secondly helped keep me in a job as a web developer for the last 12 years. I could talk a lot more about the C64, but instead, I’ll move on to the Amiga 500. After resisting for a couple of years, I drew £400 out of the bank, walked up to a shop called CBL in Blackburn and carried this beast back to a friends house. Although it was still early days for Amiga games, this was in my opinion a massive leap forward. Suddenly, games were on little disks and took seconds, rather than minutes to load. The graphics and sound were magnificent and realistic and it came with a graphical user interface OS (Workbench). Again, there are too many games to mention, but a key gaming advancement was the ability to connect Amiga’s together with a serial cable and play games such as Stunt car racer, Powermonger and Populous. Home computers aside, I should also mention the arcades. My family will attest that I used to spend a very large portion of holidays either in an amusement arcade or piling old ten pence’s into some arcade game or other. The arcades in the 80’s offered just a different thing entirely from home computer games. The games were so good and so playable and you had the added bonus of competing with people for scores. Many a friendship and rivalry was formed over a game of Mr.Do or later Double Dragon / Street Fighter 2. The latter here deserves a mention as it was (and is) one of the greatest games of all time. 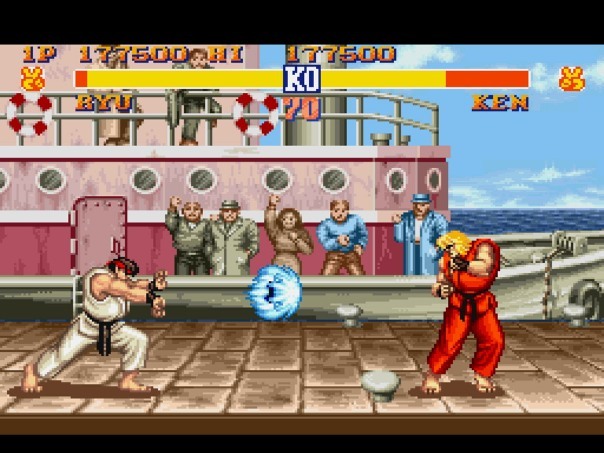 One particularly fond memory of SF2 was in an arcade in St.Ives on holiday around 1992. On our campsite in Perranporth, I’d struck up a friendship with a chap whilst playing SF2 in the arcade. He duly piled about a fivers worth of 10p’s into this hot new game, which allowed us a couple of hours to develop our fighting techniques. Back in St.Ives, I was minding my own business playing sumo champion E.Honda on what was a HUGE SF2 machine. Ironically, a bus load of Japanese tourists came into the arcade and suddenly a SF2 challenge match was on. Because of my earlier practise, I was able to fend them all off (twice) and retire undefeated. That was probably my finest hour in computer game terms. I also purchased a Nintendo SNES to take to University with me in 1993, and myself and my roommates pretty much played SF2 for the whole first year. In my third year at Uni, I bought a PC from bargain and now non-existent PC shop ESCOM. 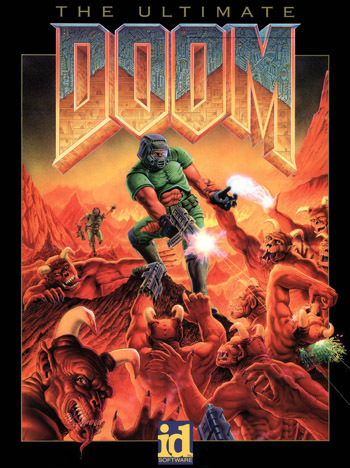 This was the year that we all became addicted to DOOM. We also installed that and Command and Conquer in our computer lab so we could have Deathmatches – hours of fun. Although there were some notable exceptions, PC gaming never quite reached the heights of previous platforms. The best moments were when Half Life, Counterstrike or Wolfenstein were set up on the works network. For about 10 years, I didn’t really play as many computer games aside from the odd local network game of Half-Life, the MAME arcade emulator or a party based Bombay Sapphire fuelled game of Singstars on the PS2. I think I became more interested in making games such as a Macromedia Director web based version of Hyper Olympics and I also made an online game / community that 100 people played called ‘The Fantasy band League’. About a year ago however, my daughter who was 2.5 discovered the Cbeebies website. I think it was this and my starting a Part time Masters in Creative Technology (MACT) that rekindled my interest in playing and making computer games. I had been interested for a long time in what could be learned from playing computer games. For my most recent Masters project, I created a web based, content managed game based learning system for 3-7 year olds. The games were basic, but the idea seemed to go down really well. It was really interesting again to be dealing with games and researching the benefits of games. As part of my ‘research’ I had a go at a Java version of the 1982 text based adventure game ‘The Hobbit’ (a game I had somehow missed first time around). I also took a look at the worlds most popular massively multiplayer online role-playing game ‘World of Warcraft’ (2004). I think I am showing my age, but I think I actually enjoyed the Hobbit more. Certainly, I got more entertainment from a text based internet based MUD game in the early 90’s. I never quite got into playing computer games with people I don’t know. It always seemed so much more fun to play games with people I do know somehow. So, what do I owe to computer games? Certainly, I believe, without computer games, I wouldn’t now be doing the job I do as a web developer, a job that I truly love doing or studying MACT. Computer games gave me an impetus and interest in computer programming to create my own games. Secondly, the nature of computer games gives you a tremendous patience for things and belief that you can achieve anything with enough persistence. I think it is possible to cunningly embed learning into games, but in my case I just have many great memories of playing and making computer games with friends. a good account my friend – Should we be expecting a book on the way perhaps in the future? I’m loving the article, it’s really interesting, well written and great to read. Well done. And what about Singstars GOAT FEET! VERY ENTERTAINING, Al. I can remember a lot of that stuff meself. It makes you wonder what the kids will be reminiscing about in another 30 years. 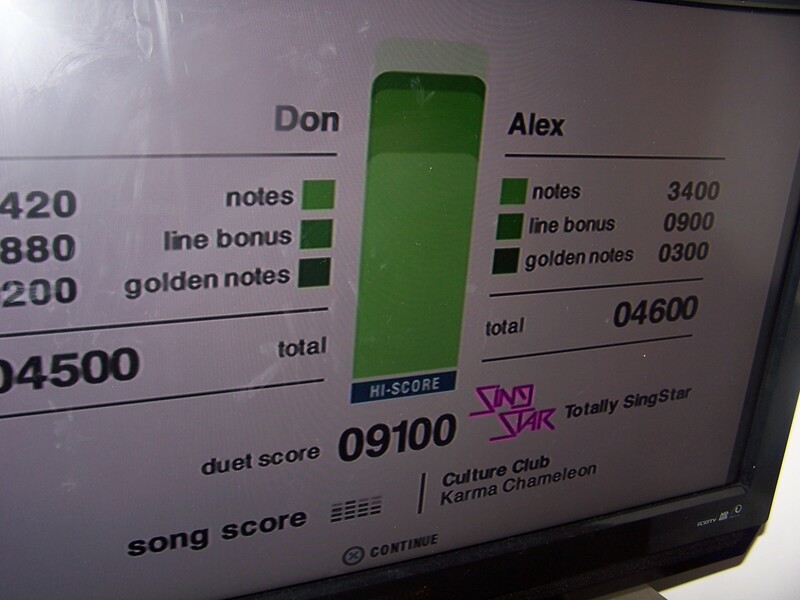 I totally forgot to mention Singstars, as it’s so cunning, you almost forget it’s a computer game, especially after *that* high score!